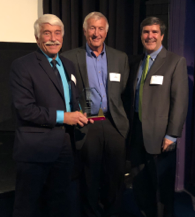 October 25, 2018 – The Rochester Regional Photonics Cluster / New York Photonics today honored three leaders in education and business for their contributions to New York’s Optics and Photonics Industry. RRPC Executive Director Tom Battley presented the awards before stakeholders from industry, government and education from across the region at the New York Photonics 2018 Annual Meeting, October 25th at the George Eastman Museum. The RRPC Entrepreneur Award is given each year to an individual for demonstrating creativity, innovative spirit and drive in pursuit of the dream of creating an industry-leading company in the Optics, Photonics and Imaging Industry. 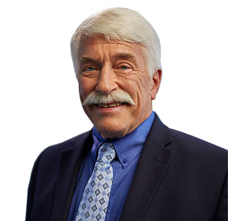 The Entrepreneur Award recipient for 2018 is Bob Bechtold, CEO of HARBEC, Ontario, NY. Bechtold’s’s life as an educator and inventor began in the 1970’s when he spent seven years as an instructor of mechanical technology for the National Technical Institute for the Deaf at RIT. In 1978, Bob established Harbec Manufacturing Co., bringing his experience and knowledge of the machining trade and in depth experience in technical training and technology development to the private industry. Under his management and direction as the sole owner, he has guided the company through many growth stages and expansion projects that employs about 150 people. The company is a recognized leader in providing innovative technical solutions to current and advanced manufacturing problems and opportunities. Among its many accolades, Harbec is one of the first companies in the world to successfully implement a completely micro-turbine powered cogeneration plant. It was in Bechtold’s barn, on State Rd. in Webster, NY that he began his company, and where later, two other local companies, OptiPro, begun by his brother Mike, and Optimax Systems, begun by Michael Mandina, both started. Today the three companies employ over 500 people. 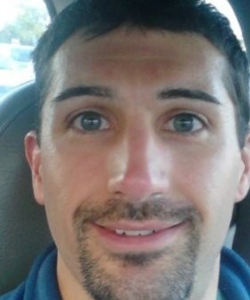 Bechtold’s educational credentials include a BS in Vocational Education from SUNY Utica-Rome, a BFA in Metal from Rochester Institute of Technology and an MS in teaching from Rochester Institute of Technology. He is a long time member of SPE and SME. The RRPC Leadership Award is given each year to an individual for working with RRPC members and the community to promote the Rochester Region’s Optics, Photonics and Imaging Industry. 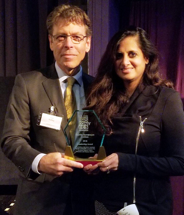 The Leadership Award recipient for 2018 is Sujatha Ramanujan, Managing Director, Luminate (a program of Nextcorps). Ramanujan is a serial entrepreneur and seasoned executive with 25 years of experience in Clinical Devices and in Consumer Electronics. Ramanujan has started, built and grown three startup businesses in cardiac surgical equipment, optical communications and nano materials. In addition, as CTO and Product Line Manager of Mammography CAD and Pediatric Businesses within Kodak and Carestream, her team developed and launched clinical equipment and Clinical IT on every continent. She has held scientific, technical leadership, and laboratory head positions in Chrysler Corporation, GE, Kodak, Carestream, and Intrinsiq Materials. She holds 28 issued US patents. As a corporate investor for Kodak, then later working with regional investment councils she provides guidance to start-ups, M&A strategies for growing businesses and vetting of technologies to investors. She has served on investment advisories in US, Canada, and Israel. 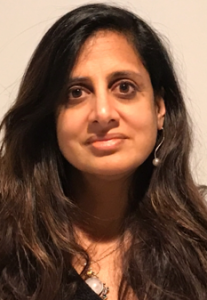 Dr. Ramanujan holds a PhD in Electrical Engineering from the University of Michigan and is an Executive Board Member of the National Women’s Hall of Fame. In 2017 Ramanujan was recruited as Director of Luminate, a program of NextCorps. Luminate, based in Rochester, NY, is the biggest optics, photonics and imaging start-up competition in the world. The RRPC Education Award is given each year to an individual for inspiring students to embrace Optics, Photonics, and Imaging sciences and guiding them in career development. The Education Award recipient for 2018 is Michael Pomerantz. Pomerantz is seemingly ubiquitous. He is a Technical Lab Associate at University of Rochester, where he works at maintaining and teaching the use of CNC and conventional optical fabrication equipment for both the Mechanical Engineering and Optics Departments. He began his career at Optimax (Ontario, NY) in 1996, where today he is a manufacturing engineering technologist in the laser-grade optics team – basically, very high-level optics manufacturing. Pomerantz does lean manufacturing cell setup, spherical lens manufacturing, and is a team leader/team member coach. He authors job traveler documents for use as manufacturing instructions. He is also adjunct faculty at MCC where is teaching conventional manufacturing processes. Pomerantz has an Associate Degree of Arts and Sciences (A.A.S.) from Monroe Community College in Mechanical Engineering Related Technologies.